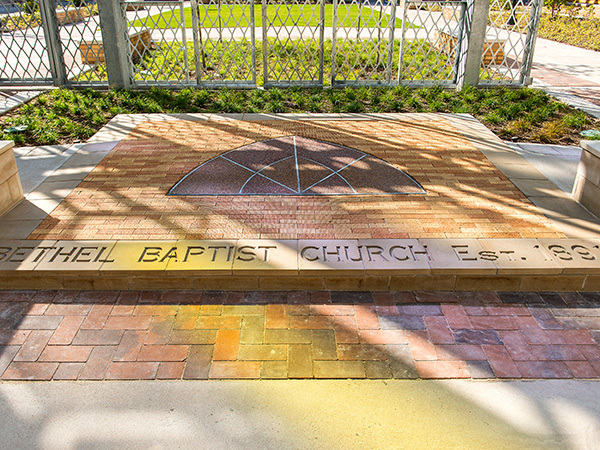 Completed in 2013, this 0.4-acre park is located on the site once occupied by Bethel Missionary Baptist Church, one of the oldest churches in Houston’s Fourth Ward. The Church was founded in 1891 when Reverend Jack Yates and former slaves constructed a wood-frame building. After the church was destroyed in a hurricane in 1900, the congregation built a similar structure, which burned in 1920. 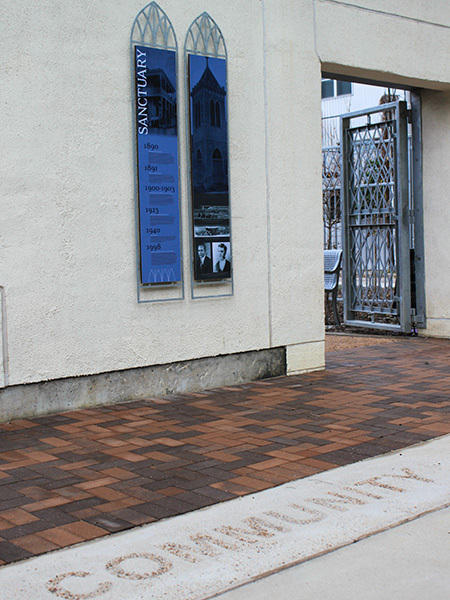 African American architect John Blount then designed a brick Gothic Revival church, which was built in 1923. 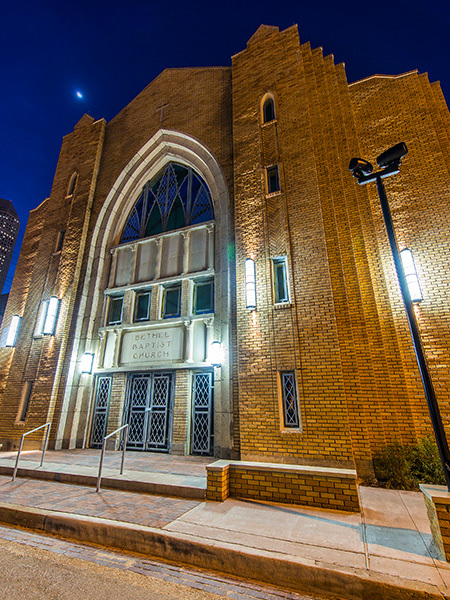 In 1950, the growing congregation commissioned African American architect James Thomas to add two additional stories to the church. 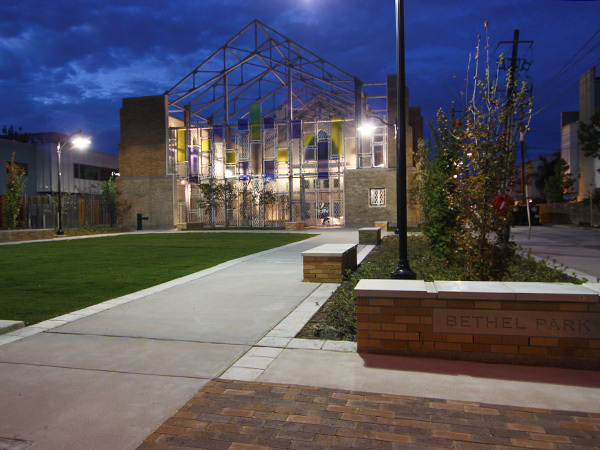 In 1997, the structure was deemed unsound and the congregation relocated. 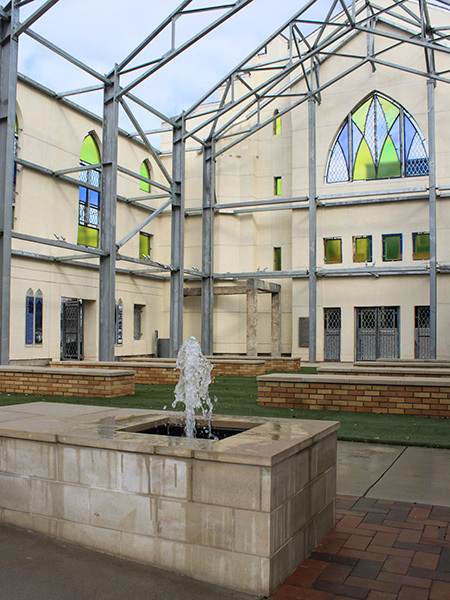 A fire in 2005 severely damaged the church, leaving only three walls, the floor, and concrete pillars. 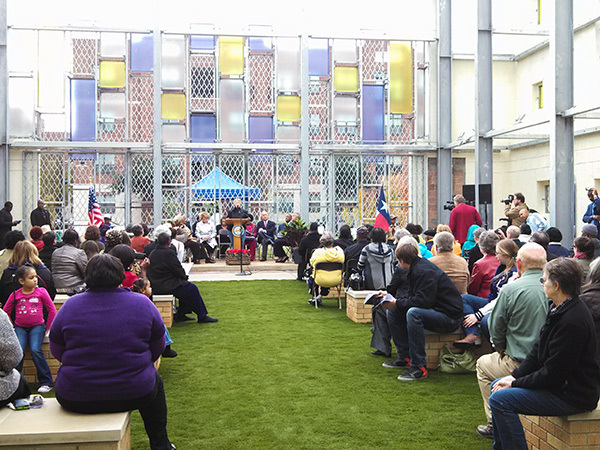 The City of Houston acquired the parcel in 2009, stabilized the walls and commenced planning a public park. 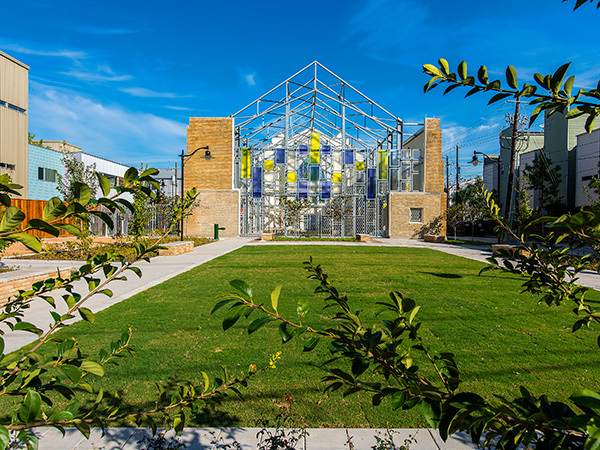 Houston-based landscape architecture firm White Oak Studio and the architecture firm PGAL collaborated on a design that preserved the ruins while creating a public amenity. The northern part of the park lies within the remains of the church walls. 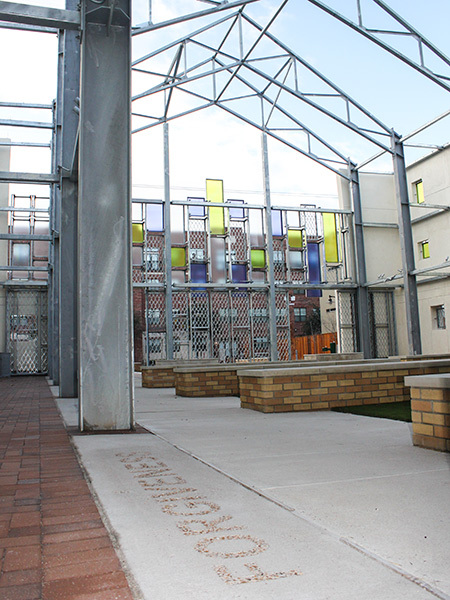 Steel trusses recall the form of the burned roof while preserving the park’s open-air quality. 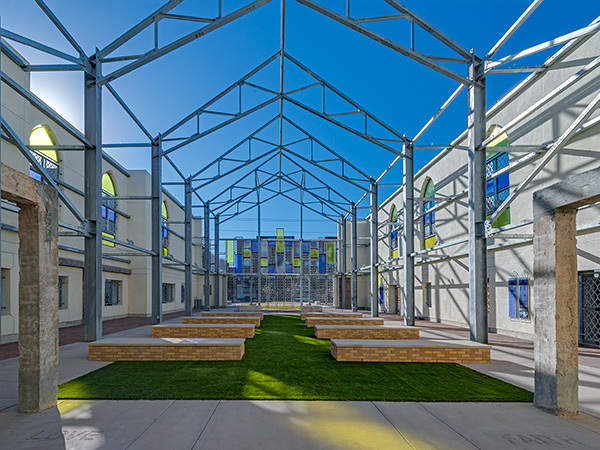 Colorful polycarbonate panels mimic stained glass windows while masonry benches—arranged to recall church pews—are positioned on an expanse of artificial turf that is bordered by masonry and concrete walks, the latter inscribed with phrases. Two fountains and decorative gates mark the southern limit of the former church, beyond which a greensward is flanked on two sides by seat walls and rows of sugar maple.